Despite being out of the news for almost two years, local developer, Mayaland Resorts, confirmed this week that their dream to build a mega resort on the island has not been abandoned. In an exclusive interview with This is Cozumel, company president, Fernando Barbachano, said the idea is the "corner-stone" of the island's future, but will only go ahead if the right investors are found for an "exclusive, high end" development that respects the environment. Since 2007, the ambitious project, dubbed Punta Arrecifes, has been promoted by Mayaland Resorts and previous island mayors, and at one time it even had the interest of U.S. property tycoon, Donald Trump, Jr. Although the earlier association with the Trump name conjured up images for some of a high-rise, high-density project, Barbachano said this is not the intention. He pointed out that two of his company's other resorts at Chichen Itza on the mainland nearby are recommended as sustainable accommodation by the Rainforest Alliance and that they want to take the same approach in Cozumel. "Money is not the factor here," he said, "this is about leaving a legacy for the island." Artist's impression of how one of the marina areas could look. According to the development's master plan, the resort could include: 10 hotels with 2,868 rooms; 2 marinas; an amphibious aircraft landing area; an 18-hole golf course; 1,210 vacation homes; 10 miles of beaches including 3 areas for locals and 6 private beach clubs; a marine wildlife reserve, and more. 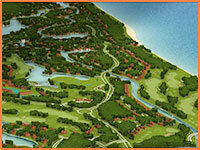 Barbachano admitted that in the bid to be a sustainable project, the golf course could be omitted from the final design. He said it is more about "canals and marinas" and that his company has already spent half a million dollars on studies to ensure the project is achievable without damaging the wetlands. The vision is for this "jewel of Cozumel Island" to be built on some 2,837 acres (1,150 hectares) along the island's northeast coast. It would fall inside the Ramsar wetlands reserve, which was created in 2009. 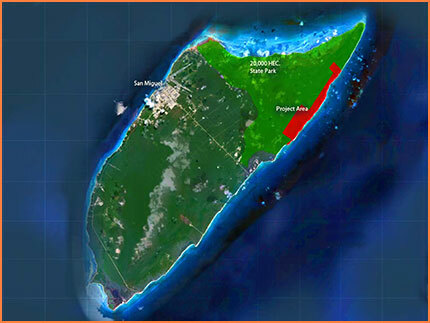 Map of Cozumel showing the area in red where the project would be built. Barbachano said building density is restricted within the reserve and the entire area's quota would be given over to the Punta Arrecifes project, effectively preventing any other developments in the surrounding area. No firm new proposal is on the table and there is no mention in the plan of the total cost of the development, but Barbachano said they are actively talking with groups of interested investors from North America and Europe. 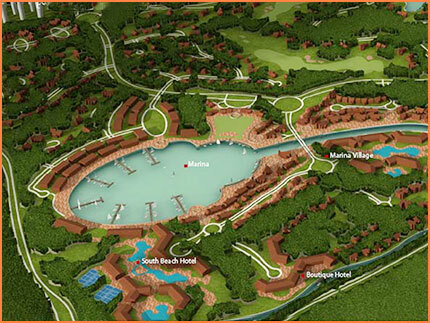 As well as two resorts at Chichen Itza, Mayaland Resorts also owns a string of other hotels on the mainland. According to their website, Fernando Barbachano Peón, their founder and the current company president's grandfather, was the first person to bring tourists to Chichen Itza back in 1921. Trump "Welcome In Cozumel" - Jun 28, 2011. Hotel Giants Tight-Lipped About Cozumel - Apr 25, 2011. Cozumel Marina Sails Ahead - Mar 10, 2011. Cozumel Wetlands Protected - Feb 8, 2009. Trump Plan Still Alive - Jan 17, 2009. Trump Shelves Cozumel Plan - May 15, 2008. New Nature Reserve Discussed - Mar 17, 2008. Trump Silent On Cozumel - Mar 21, 2007. Tour to Cozumel's East Coast. 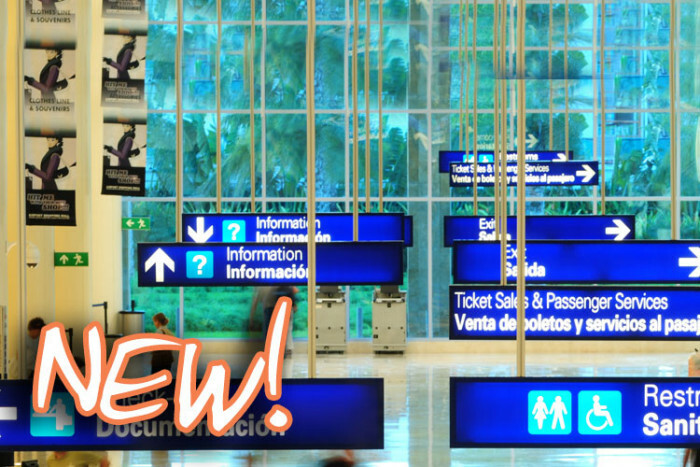 More Cozumel real estate news.